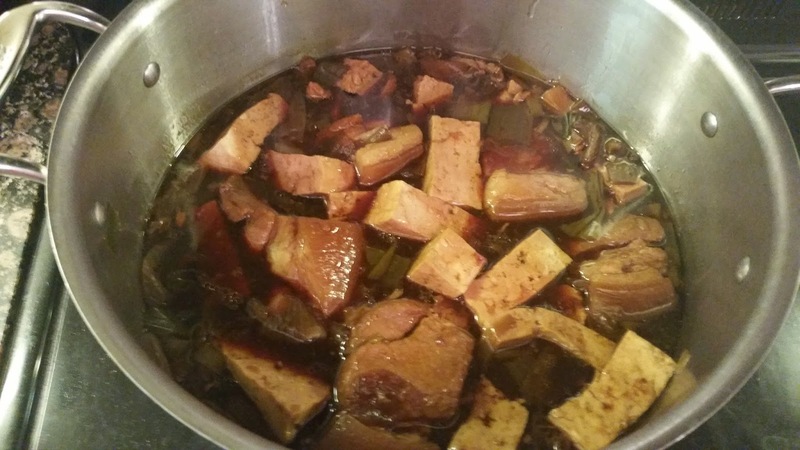 Otherwise known in the Mandarin Chinese pinyin as "Lu(3) Rou(4) Fan(4)," this Taiwanese home style comfort dish is perhaps a ubiquitous growing up staple for likely anyone with cultural heritage to that region of the world. Perhaps the pork version of chicken soup or even pickled pork, beans, and rice in the south, Stewed Pork and Rice is typically best made by one's grandmother. Usually some secret combination of ingredients plus years of masterful improvements and decades of care is the only way to really make this dish truly perfect. Well, it was high time I tried my hand at it. I started by chopping up onion's into 8ths, smashed garlic, chopped up some leek, and made tiny cubes of potatoes. While this may be a more American take to the situation, I figured the aromatic flavors added would be nice. 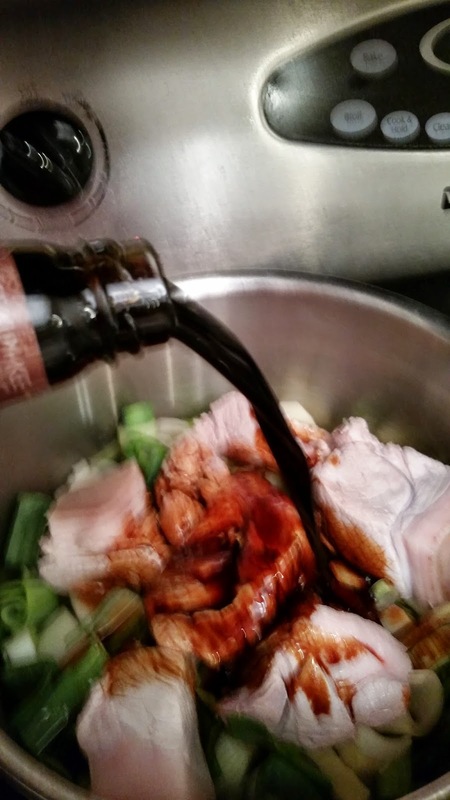 I also put in some Chinese cooking wine and ginger while I sauteed all the aromatics with a light layer of butter. 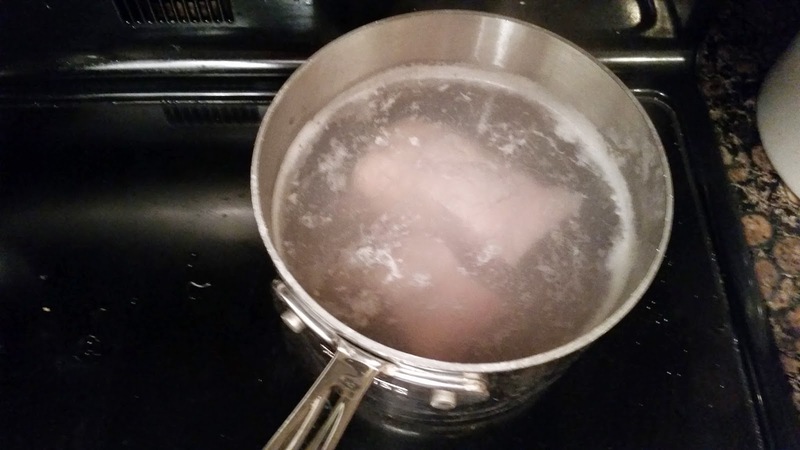 Then, I took up an advice from my mom to blanch the pork in water with splashes of vinegar and cooking wine; this is apparently a trick to get rid of any strange gamey tastes you may incur with a pork stew (and may very well work for lamb). 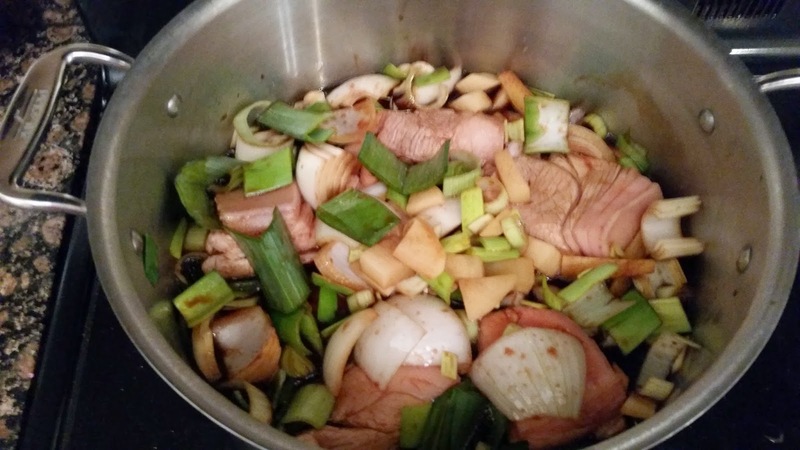 Once all the pork was blanched, I returned it to all the aromatics. 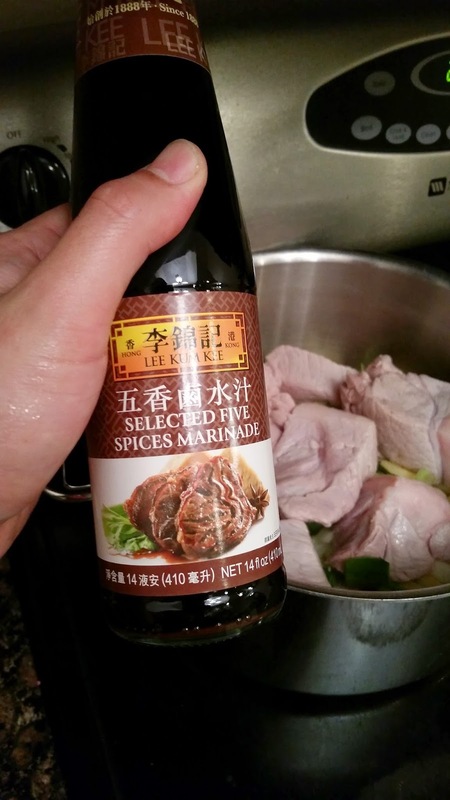 I then opened up the handy-dandy Five Spice Marinade, purchased at your local Asian ethnic grocery story. For me, being in Southern California, I bought this from 99 Ranch Market. In went the whole thing! I also put in 1/2 a bottle's volume of water so it wouldn't be all too salty. 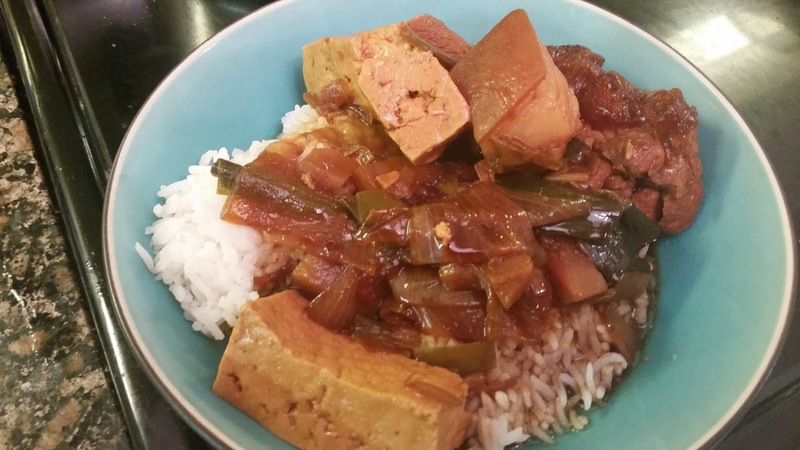 I stewed this baby on low heat for about 4-5 hours and added some firm tofu near the last hour, just for a little variety of protein. It was a fun experiment! I feel like the flavors didn't completely marry the way my grandmother makes it so. Nevertheless, it felt good to try to replicate the effort. 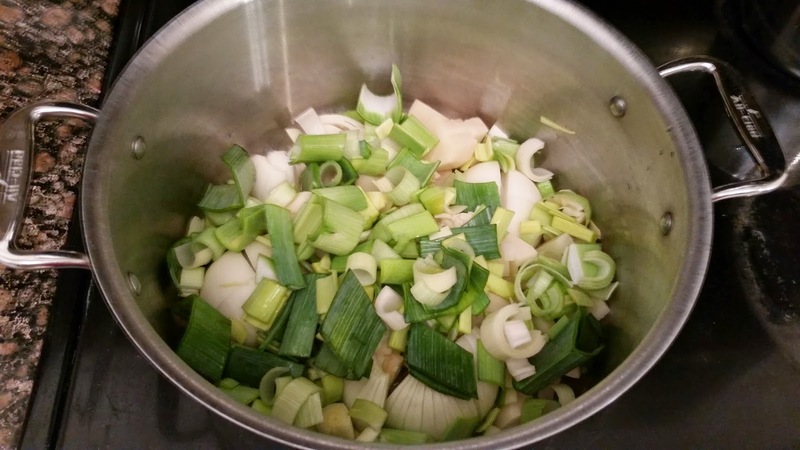 The onions and leek gave a wonderful flavor and the garlic was surprisingly pleasant (and buttery melting in mouth). The pork could have been more tender, perhaps I needed more time to let things really break down. However, that archetypal bacon layer on top .... mmmmmmm. Yep, that's the good stuff. Well, I suppose that's it! It was a fun experiment; a little bit spur of the moment. It's a fun addition to my culinary experiments. Now.... to find my next quarry!